I only knew one of my grandpas – my dad’s dad died before I was born. By all accounts, he was a wonderful guy and would have been a fantastic grandpa. I’ll always wish I could have known him. 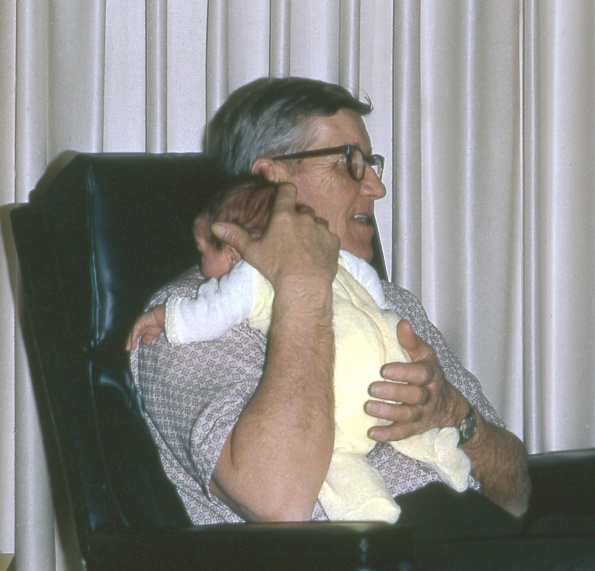 And I’m thankful that I did get to know my other grandpa, because he was awesome. My mom’s dad was a champion “fun grandpa,” and I have lots of memories of the good times he created. He’d load up the grandkids in the back of his old pickup truck and drive us down the country back roads around his house so we could feel the wind in our hair and see, hear and smell the countryside as we rode. We’d thump on the cab of the truck to beg him to go faster and he’d honk the horn, which made an “ah-OOO-gah” sound that was absolutely delightful for a little kid. When I discovered roller skating, he had the perfect plan. Grandpa and Grandma’s basement was finished but still had a concrete floor – and it was a huge basement, practically the size of a roller rink to my young eyes. Grandpa would push chairs and rugs to the sides of the room and let me skate around and around. He would even humor me and serve as a willing dance partner, although I could never get him to strap skates on his own feet. And a small but enduring memory… Grandpa always carried Juicy Fruit gum. Not for himself, but for his many grandkids, and for the children of neighbors he’d run into at church, and for any other kid who might be in need of a stick of gum. There’s nothing quite like a grandpa who carries gum.